The New York Upstate Chapter of the American Planning Association (NYUAPA) is pleased to announce that the Chautauqua County Greenway Plan has been awarded the 2013 Planning Excellence Award for Comprehensive Planning. 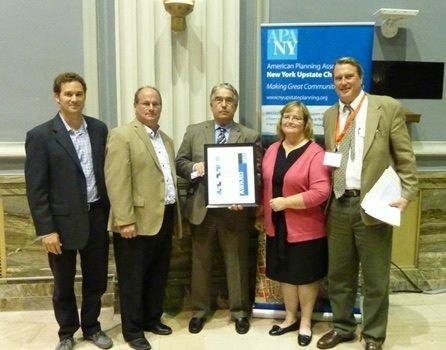 The 2013 NYUAPA Chapter Awards recognize outstanding work being done by planners, planning firms, elected officials, and citizens to advance the science and art of urban and regional planning in upstate New York. 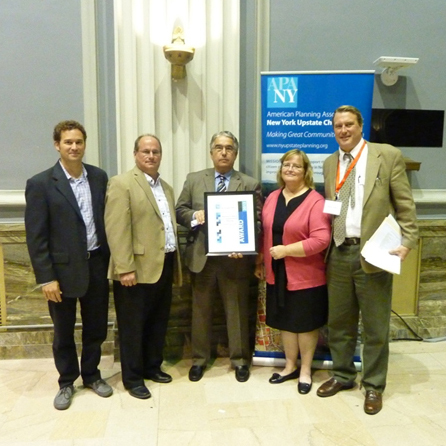 The award was presented at the NYUAPA’s annual conference in Schenectady. Chautauqua County received this same award for its Comprehensive Plan: Chautauqua 20/20 in 2011. The Planning Excellence Award in Comprehensive Planning recognizes plans that advance the science and art of planning. Winning projects are distinguished for originality and innovation, quality, thoroughness, degree of public participation, and identified steps to put the plan into action. Chautauqua County’s rich system of four season greenways positively impacts the economies of our communities. 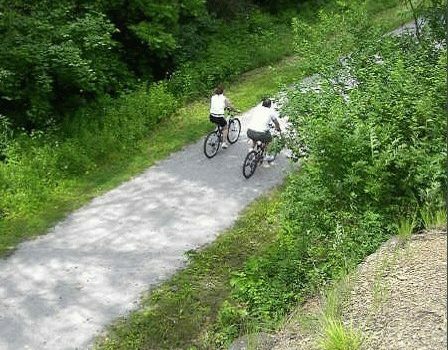 The recommendations proposed in the Greenway Plan, which was a top recommendation in Chautauqua 20/20, creates a new enthusiasm for active living and healthy lifestyles; promotes outdoor activities; improves our quality of life within Chautauqua County; acts as a catalyst for economic development related to outdoor living; and establishes Chautauqua County as a destination center for outdoor adventure and lifelong learning opportunities. Capitalize on the positive economic impact that can be realized through providing goods and services that visitors to Chautauqua County desire. 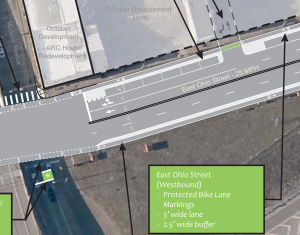 One of the many objectives of the Chautauqua County Greenway Plan was to develop a unique, concise, easy-to-read, high quality plan developed within the constraints of a limited budget. The Project Team, comprised of the Chautauqua County Department of Planning & Economic Development, Pashek Associates, and other key stakeholders, strove to not overburden the document with superfluous information and facts. The crux of the plan is 162 pages in length, and the team produced an attractive Executive Summary that is only 12 pages in length. The supporting documentation is available on a CD and on the department website so that the plan can be reproduced at a reasonable cost. 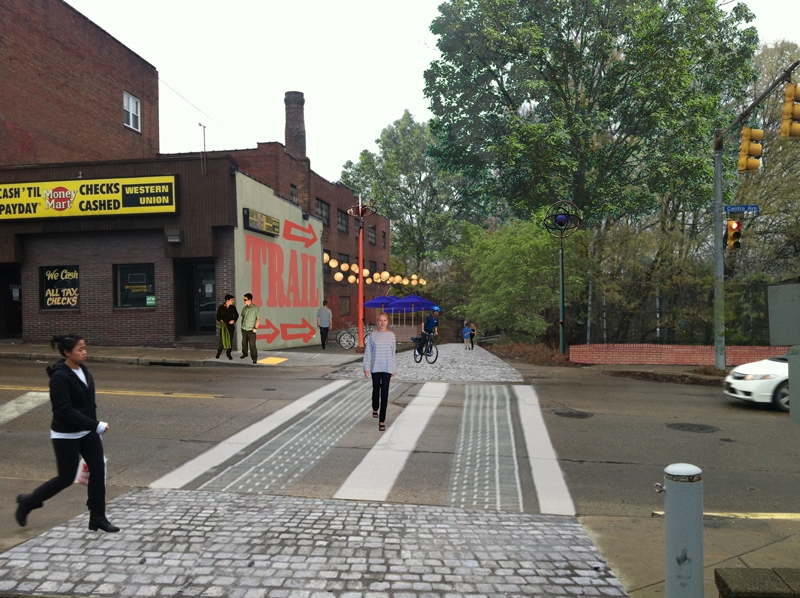 The plan integrates a unique style, is enhanced with colorful pictures taken locally, and incorporates modest graphics to convey its message. 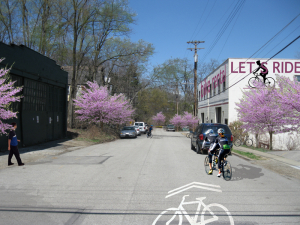 Besides identifying and proposing the development of recreational greenways using existing Rights-of Way and natural corridors, the Plan also identifies towns based on their potential to provide amenities to trail users. These “Trail Towns” are ranked based on their ability to provide the goods and services needed by Trail Users. The project team felt it was essential to identify ten (10) demonstration projects that are to be the first projects pursued in the coming years (several are currently being implemented). Enough description about each project is provided so that it can be discussed and considered for implementation. 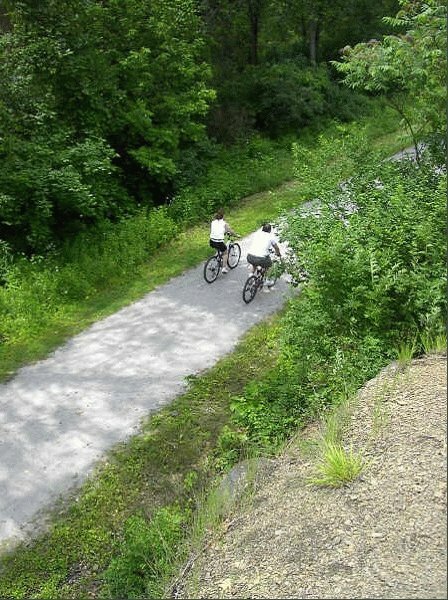 The Chautauqua County Greenway Plan also utilizes a unique methodology for defining its natural systems greenways by using natural, ecological and hydrologic infrastructure as building blocks for determining high-value natural areas, and allows these special areas to be ranked. This information will help guide decision-makers towards or away from potential projects based on the sensitivity of natural areas where they are being proposed. 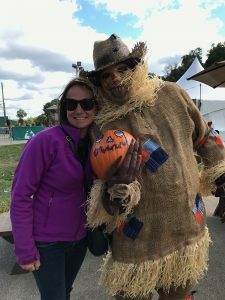 Christine Kercell, a graduate student in Park and Resource Management at Slippery Rock University, has begun working as a part-time planner for Pashek Associates on the Butler County Comprehensive Recreation, Parks and Open Space Plan. 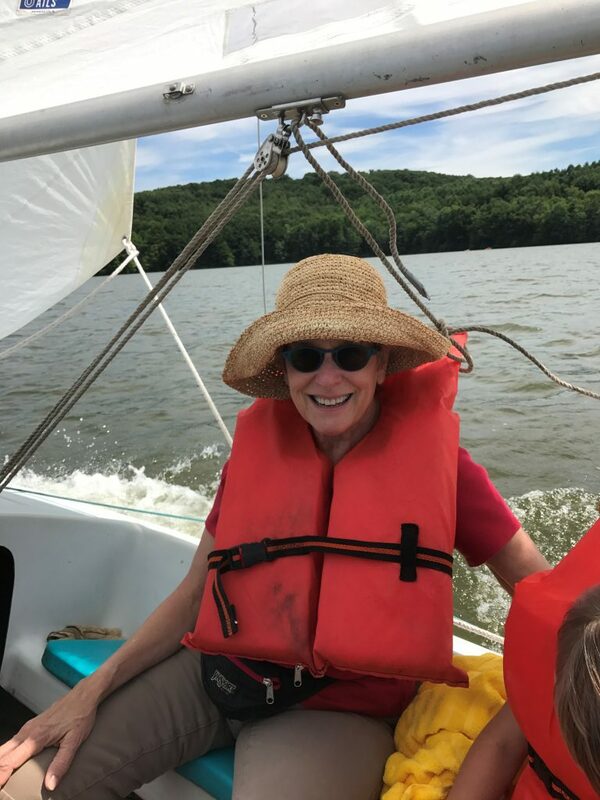 She will be working closely with Bob Good, Principal in charge of the project preparing park inventories and with Mike Kotyk, GIS manager and Greenway planner on the proposed greenways and trails. 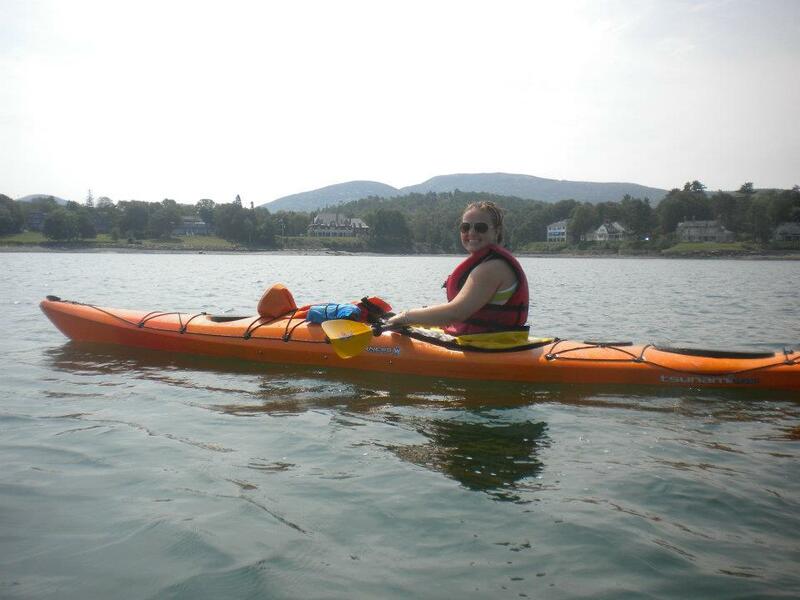 She often spends her free time cycling with her family, kayaking with her finance, and swimming. A new goal of hers is to compete in a triathlon. Welcome Christine! 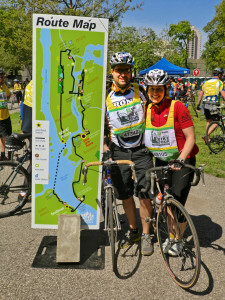 Pashek Associates staff member Mike Kotyk made his first journey to New York City for the 34th annual Five Boro Bike Tour. 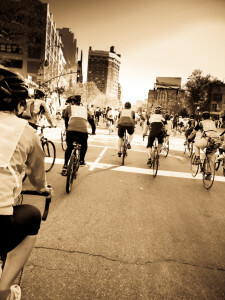 The ride took place on Sunday, May 1st with more than 30,000 cyclists participating. Featuring 42 miles of car-free streets through all five boroughs, the tour cruised by sites such as the Empire State Building, historic Harlem, Central Park, and the Statue of Liberty. 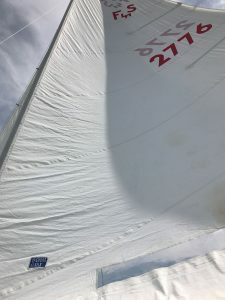 Mike and his wife stayed on the Upper West Side throughout the trip, which afforded them the opportunity to utilize the Hudson River Greenway to travel to and from the tour. The Greenway is known as the most heavily used bikeway in the United States and is the longest trail in the Manhattan Waterfront Greenway system. 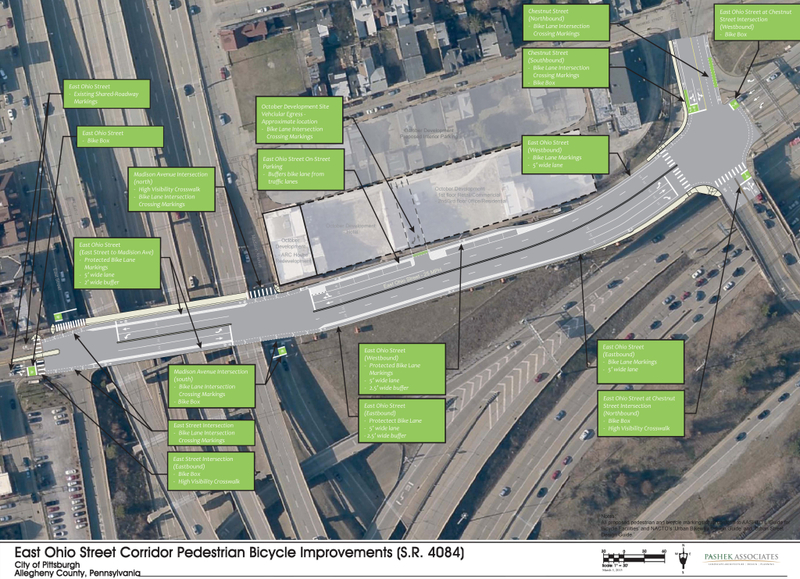 The planning and design of the greenway is remarkable as it provides a completely car free multi-use trail for commuters as well as for recreation. 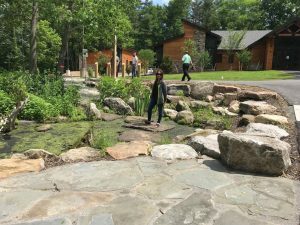 The trail follows along the Hudson River for more than 13 miles providing great views and open air breezes off the water as it passes through several parks, playgrounds, and court complexes. The southern terminus of the trail is at Battery Park in Lower Manhattan, which is where the tour began. One of the things Mike was most looking forward to along the course of the tour was gaining a new perspective of the architecture throughout Manhattan. Though he tended to focus more on not crashing into the plethora of other closely packed cyclists, the experience of being on a bicycle along Avenue of the Americas was awe inspiring. The sharp contrast of leaving the skyscrapers of midtown Manhattan and entering the lush green of Central Park was fantastic. Taking in the beautiful scenery riding through the Park with 32,000 fellow cyclists was truly an experience Mike will never forget. The first major rest area in Astoria Park was the most memorable. Located along the East River in Queens, Astoria Park is situated adjacent to the Robert F. Kennedy (Triborough) Bridge. The park contains New York City’s largest swimming pool and utilizes the space underneath the bridge deck for a skate park. The views of the Triborough and Hell’s Gate Bridges, as well as the Manhattan Skyline across the East River, were absolutely beautiful. The ride finishes dramatically by taking cyclists across the Verrazano-Narrows Bridge. When opened in 1964, it was the world’s longest suspension span bridge. The entrances of the bridge are at historic Fort Hamilton in Brooklyn and Fort Wadsworth on Staten Island. 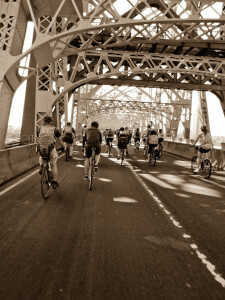 The Five Boro Bike Tour and the New York City Marathon are the only two events that allow people to cross the bridge without using a motor vehicle. The tour culminated with a Festival at Fort Wadsworth on Staten Island. Finally, there was a short three mile ride to the Staten Island Ferry which was packed with bicycles as it floated by the Statue of Liberty in New York Harbor on its way back to Battery Park in lower Manhattan. 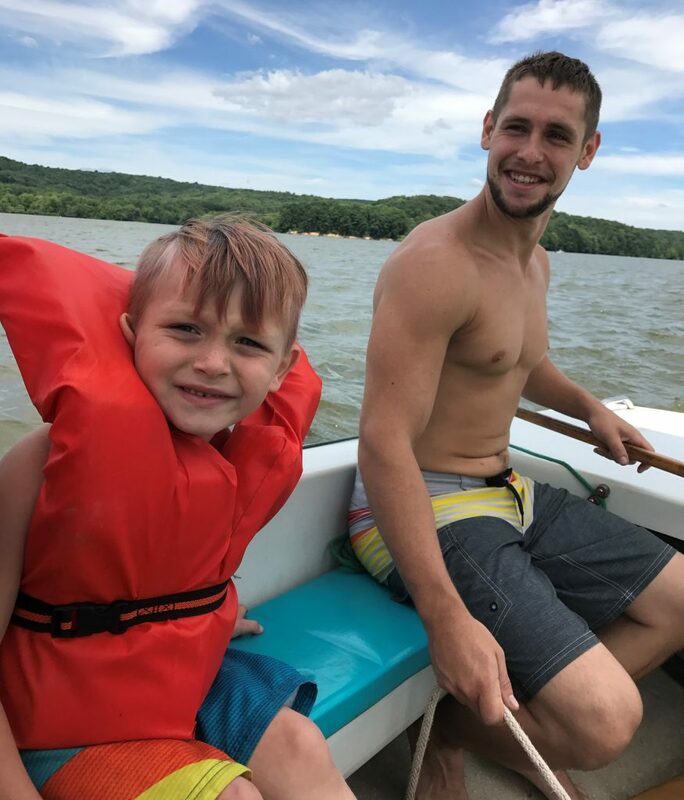 In all, the ride was a very rewarding experience and one of the most spectacular events Mike says he has ever participated in. Needless to say, he’ll be making the trek back to New York City for the 2012 Five Boro Bike Tour.